The free trial for Ghost Recon Wildlands isn't just for PC. The Xbox Spring Sale is over and chances are that some people may have picked up some new games. If that's the case, they'll probably need some add-ons or season passes. That's why Xbox has segued from the Spring Sale to the Spring Add-On Sale, which spotlights a handful of season passes and DLCs for some of the console's top games. Meanwhile, PlayStation is holding another Flash Sale, this one centered around horror games and thrillers, like The Last of Us and Prey. If that's not what you're looking for, the best of Rockstar Games is also on sale, from the Grand Theft Auto franchise and beyond. On top of that, the Ghost Recon Wildlands free weekend isn't just for PC, but it's also for consoles. 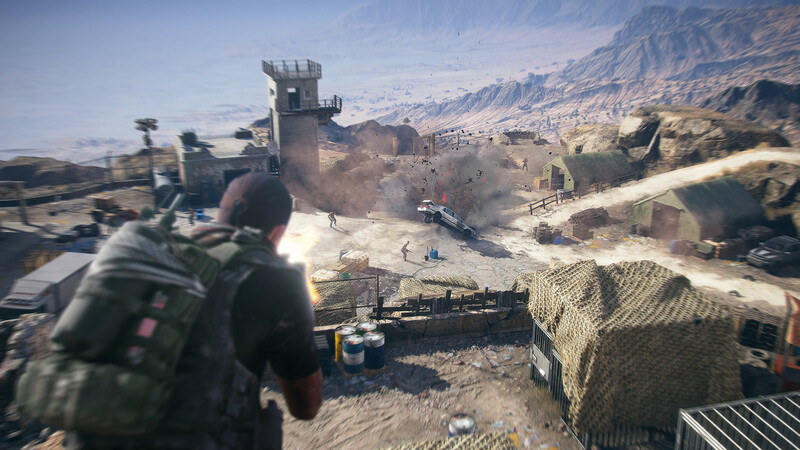 The Ghost Recon Wildlands website has all the details, but Xbox One and PlayStation 4 owners can also jump into the game to give it a look through the end of Sunday. Anyone interested in picking up the whole game can grab it on sale for either platform. All of this is just a small sample of what's on sale right now. Check out all of the Xbox One add-ons on sale in the Xbox Spring Add-On Sale. Find the full list of games in the PlayStation 4 Flash Sale. Find the full list of games in the PlayStation 4 Rockstar Games Sale. Cars 2: The Video Game - FREE! Find the full list of games in the PlayStation 3 Flash Sale. Find the full list of games in the PlayStation Vita Flash Sale.